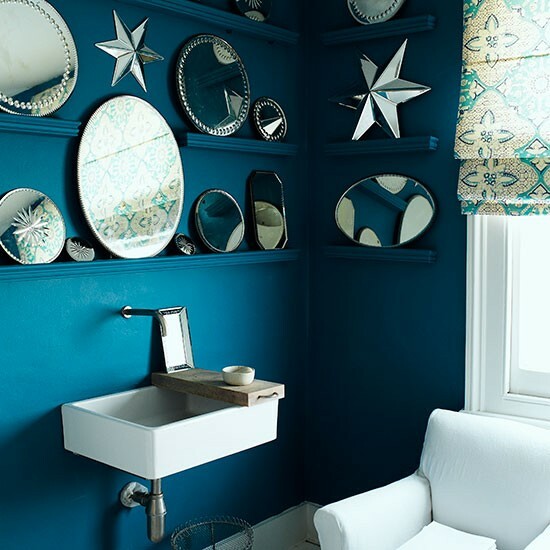 When it comes to decorating a home, sometimes as much as we would like to do exactly what we want we feel the need to restrain ourselves somewhat. Maybe this isn’t your forever home and you are thinking of prospective buyers, or maybe there is another occupier to please (aka my Husband). There is a little room, often overlooked, that you could go a little bit crazy in or just indulge in what really makes you happy. Simple, minimalist, bright or plain. 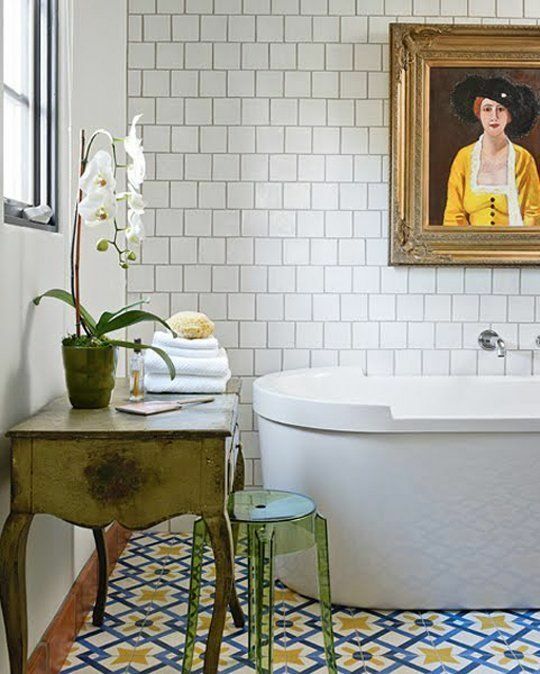 I have collected some lovely bathrooms to inspire, just in case it is one of those rooms awaiting some attention, like mine. What a simple idea. Dado rails can be picked up from the DIY shop for about £1 – £3 for 2 metre length then just paint the same colour as the wall. This is the same room but with a completely different feel. 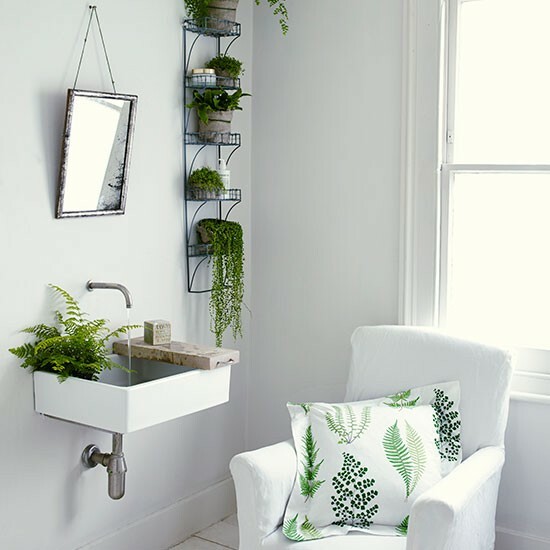 I love the idea of using wire shelving for plants. 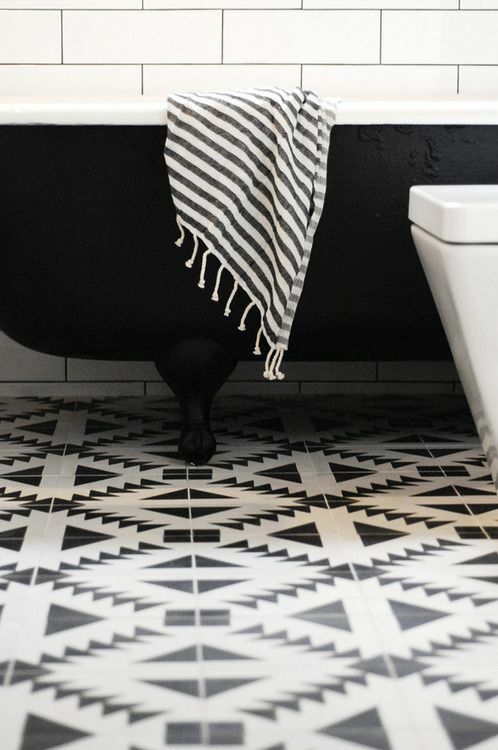 Let floor tiles make the statement. And an elaborate painting! 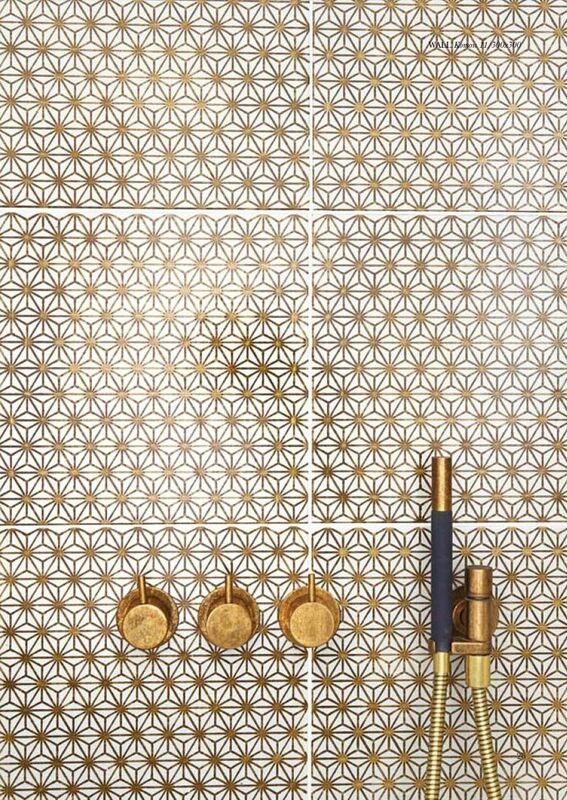 These Gold tiles are to die for, the price probably would kill me too. 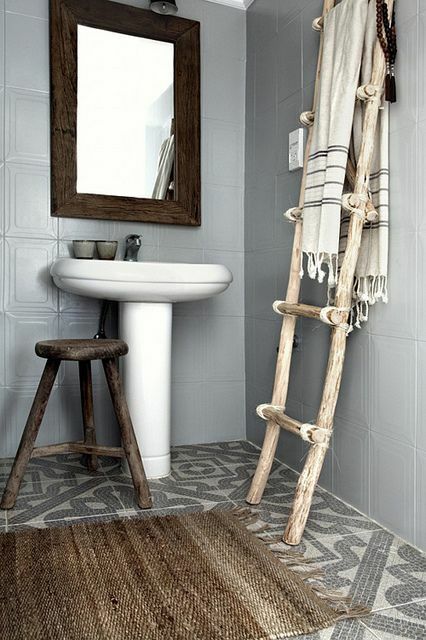 Or how about a return to nature using raw wooden accents? Similar towels to the one in the picture are currently on offer in TKMAXX. I miss nothing!